With the amount of electronic musicians out there, it’s hard to find really good quality ones. 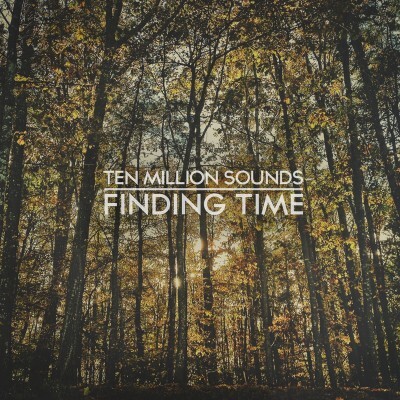 Luckily, Finding Time by Ten Million Sounds has made everything easier by compiling the best electro/ambient music around. True to their word, the album is comprised of nothing but the most melodic and relaxing electronic downtempo hip hop to grace your ears. A track from Aether titled Solace, opens up the soothing compilation. Composed of a steady, relaxing beat coupled with the occasional vocal sample; the track liberates and calms the nerves on an edgy day. Jimmy Whoo’s Star Child adds a bit of funk and soul to the compilation. Combining a nice bassline beat along with smooth jazz and soul touches, it’s one of those tracks you groove along to on a quiet Saturday night. Rob Viktum’s 4/17/1975 is another lovely single that’s definitely worth noting. Truth be told, this is one of the few electronic compilations that has gotten me very excited. It’s a record composed of cool, chill out ambient tracks that are so relaxing it seeps through your bones. Filled with an equal portion of hip hop and electronica aesthetics, it’s the best of both worlds. The best part is that you can get this at a free/pay-what-you-want-download. All proceeds will be donated to a non-profit organization called Smile Train. The organization helps provide funding for corrective cleft palate surgery for children.